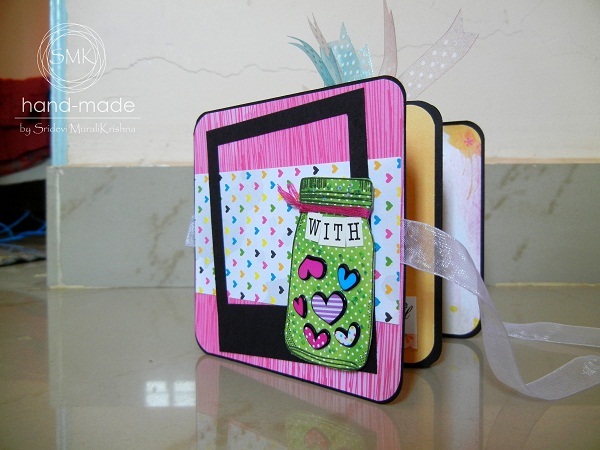 Today I want to share an ACCORDION CARD I made with Valentine theme. 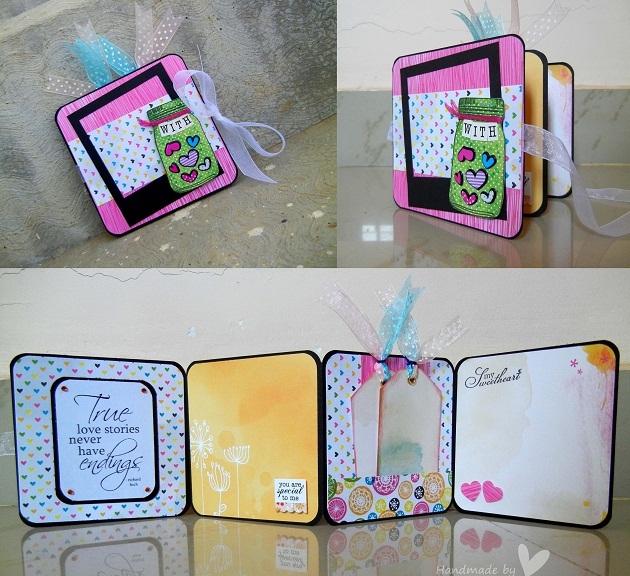 The idea to make an accordion card was on my mind since so many months..but now it materialized..!! 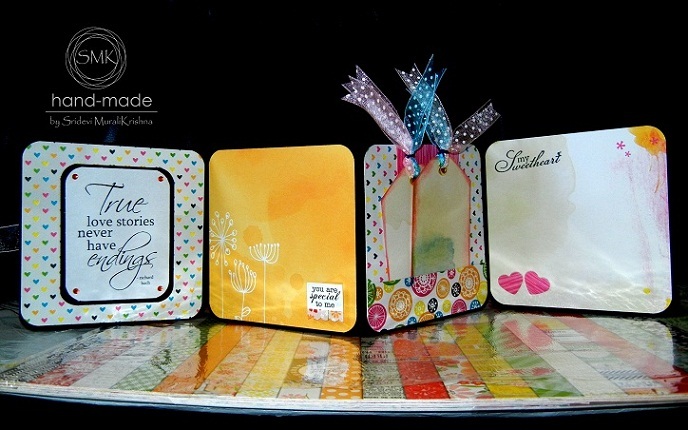 Ample space inside to jot down sweet things. Also can be used as photo mats. Pic below shows a cute bag to keep the card. 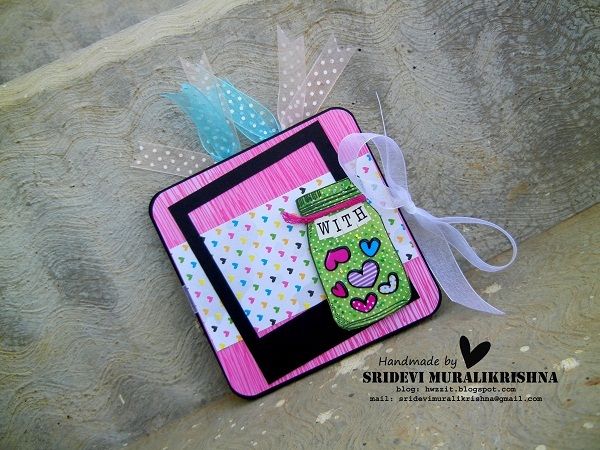 What an amazing accordian card!..So well -finished & beautifully co ordinated ...Love your choice of colors & papers very much!..This would make a perfect Valentine gift...!! Hey this is fantastic. 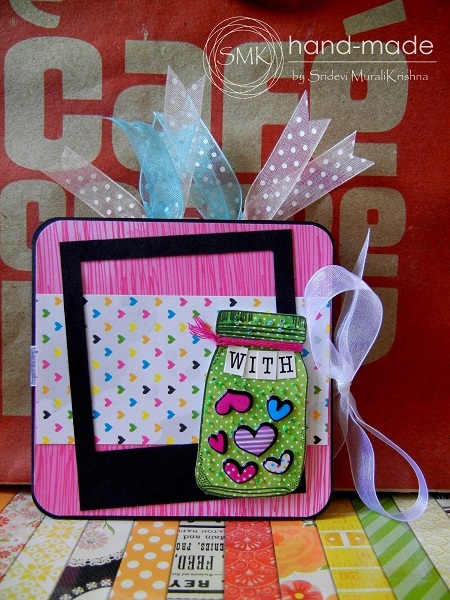 Your work is very very neat and the cover with the jar is so cute!!! 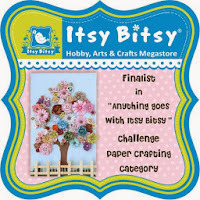 Thanks so much for playing along ItsyBitsy's Pattern Paper Challenge. All the very best! 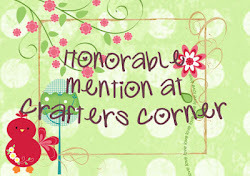 Hi Sridevi...I have added your blog to my list....I like all your work and I am sending you a blog award...Plz visit my blog to receive it. 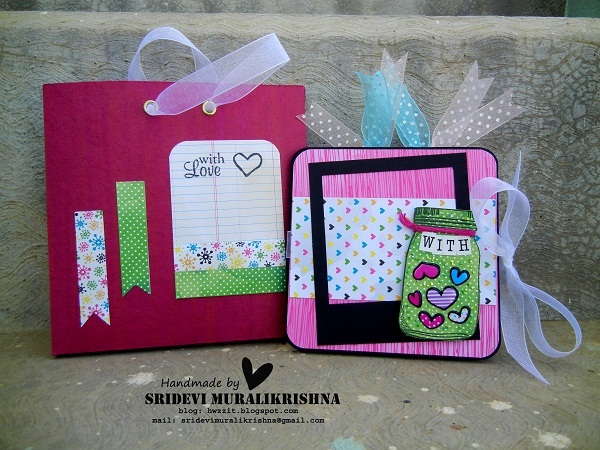 ohhhhh......i m in love with us....what a stunning card...thanks for palying with us at crafters corner challenge # 5 ---expression of love....all the very best.